YProTech provide a specialist service for the pharmaceutical, biotechnology (life sciences) and applied chemical sectors. They provide a fast and reliable delivery of laboratory scale chemistry development services. Kandu is a platform that helps organisations running entrepreneur/innovation leadership mentoring programs to source, classify and build online mentoring teams for faster, systematic business growth. It is a B2B business selling to 60k+ global corporates, universities and accelerators. Kandu’s software makes it easy for such organisations to set up, manage and track the progress of the best in class business growth mentoring and advisory programmes. 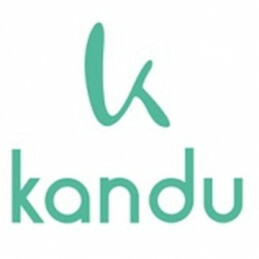 Now, Kandu is seeking investment to further enhance its product/services and create a full-time sales operation. To enable all of the features of the site and view this pitch on Investing Zone, please fill in your information below. We are not responsible for the content of the Investing Zone website and we do not accept any liability. By proceeding to this pitch you are accepting these terms. To enable all of the features of the site and view this pitch on Investing Zone, please sign in below. We are not responsible for the content of the Investing Zone website and we do not accept any liability. By proceeding to this pitch you are accepting these terms.